At Riverford Dairy we farm with care. The plants we grow on the pastures interact with both the land and the animals and have a big impact on the quality and taste of all our products. We sow complex grasses and other high protein grazing plants on our pastures, like red and white clover, lucerne and chicory. All the plants have extensive root systems that replenish the soil with valuable nutrients like nitrogen and they’re high in protein. Protein supports the health of the cows and the combination of plants give our milk its unique, creamy taste. The premium quality milk that our cows give is treated with the same sort of care as the land. Nothing is rushed in production. Traditional farmhouse methods, slow cooking and allowing time to let flavours develop ensure that the products are unspoilt and taste amazing. 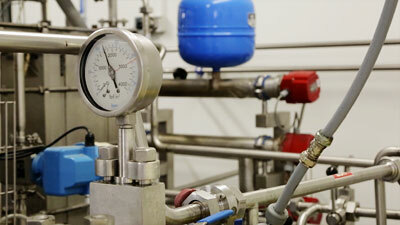 The product range is manufactured and packed less than 300 metres from the milking barn. Our dedicated team use traditional processes and slow cooking methods. Yogurts and cheeses are made in small batches and allowed to naturally mature so that the cultures are just right and the flavours have time to develop. Cottage Cheese curds are rinsed and drained for 24 hours before turning lightly with sea salt. Butter is traditionally churned and salted before hand packing. Our Clotted Cream is left to set overnight and then scalded to create a beautiful natural crust, the way it would have been made in a farmhouse kitchen a century ago. Mascarpone is made using double cream and pure organic lemon juice, just as it would have been in Italy 200 years ago. 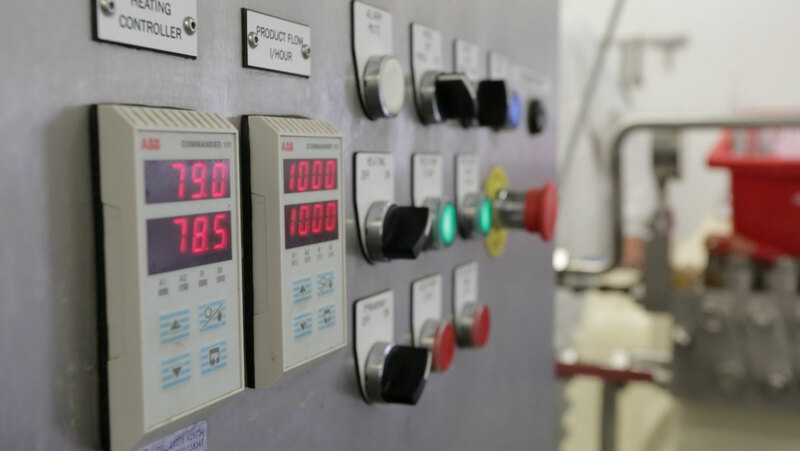 Pasteurisation, by heating, makes milk safe for consumption. We pasteurise by using something called the High Temperature Short Time equipment. Using this method the milk is pasteurised very gently which protect its freshness and unique flavour whilst removing potentially harmful bacteria. 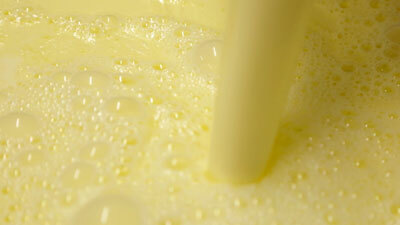 Homogenisation removes the cream layer in milk by mixing the cream particles evenly throughout the milk. It’s been popular in the UK since the 1960s, mostly driven by a demand from supermarkets for standardised cheap milk. Our milk is unhomogenised because we believe that natural food is good food. So we leave our milk as close to it’s natural state as we can. It means the delicious cream – that’s yummy in coffee or on breakfast cereal – floats to the top. If that’s not your thing, shake the carton to mix in the cream. The European Agricultural Fund for Rural Development contributes funds to the Rural Development Programme for England. 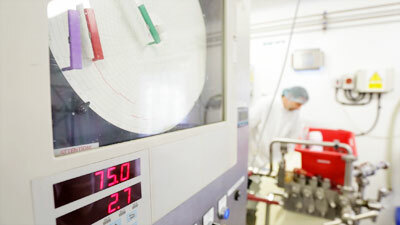 We are the Beneficiary of approved LEADER funding for an automated Yogurt line, allowing us to improve efficiencies, extend our range and increase our workforce. But all of these processes and procedures are nothing without the right people. Our people and our values are what make the Dairy so successful. The close-knit team has a wealth of experience in the traditional craftsmanship of our products. Years of combined skill means that we understand exactly how to treat milk and cream to get the best tasting results. Technical, health and safety expertise is key to ensuring our customers wellbeing. And ongoing scrutiny of the way we impact on the environment is always at the forefront. With around 15 of us on staff we’re a close-knit team, proud to be running a small business that’s preserving tradition, caring for the land and pleasing its customers.